From there, Jason will walk to Burke’s Falls — where the onset of winter proved a road block last year — and then “it’s all the way on to Vancouver,” he asserts. Homeless advocate Jason McComb with Ontario PC leadership candidate Christine Elliott. Jason admits in some ways he is a little more prepared for the resumption of his Walking in the Free World awareness campaign. Word of his walk has spread across the country and as far south as Texas to a volunteer organization in Houston. In fact, between interviews for traditional media and now social media, Jason has appeared in over 1,700 stories, articles and blogs by his count. Whether you are of the opinion it has become an anachronism or has suffered through a lack of local entrepreneurial vision, the news Elgin Mall is to go on the selling block has prompted fascinating feedback on the Times-Journal Facebook page. Here’s a snippet gleaned from the dozens of comments posted this week. Kelly Pearson writes, “That mall used to be the only place I would shop. Refuse to spend $$ at Walmart unless absolutely necessary … Abolish the big box stores and let’s see competitive shopping again. Little mom and pop stores would thrive again. According to Brian Poirier the way forward is not complicated. Kathy Cedar proposes something a little more drastic. Beth-lynn Reid is thinking along the same lines. Joanne Redman is a little more introspective. And, to finish on a positive note, Pam Matthews Hedden reminds us of this. Perhaps the life blood of Elgin Mall will no longer be retail-driven but instead institutional with the opening this week of the Fanshawe College Career and Employment Services office near the food court area. 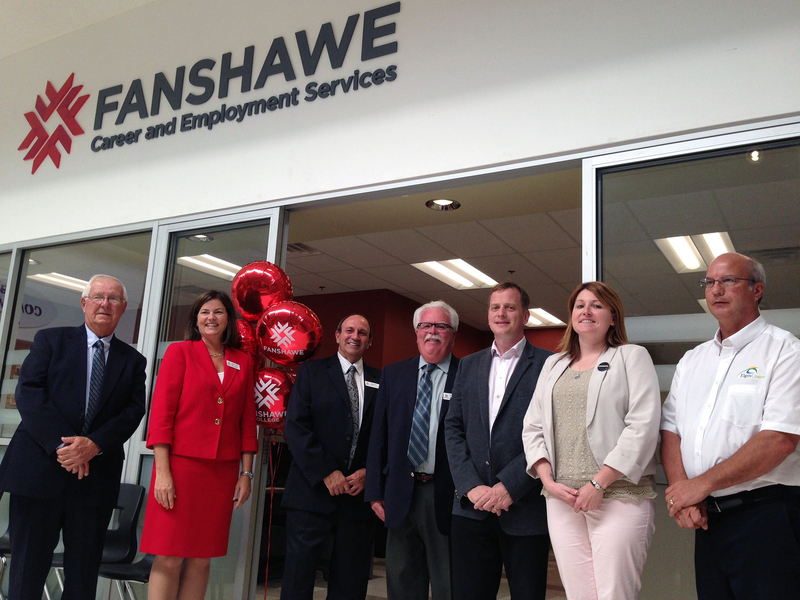 Fanshawe College representatives Bruce Babcock, left, Susan Cluett, Mike Amato and Ross Fair pose with MPP Jeff Yurek, Mayor Heather Jackson and Elgin County Warden Paul Ens at the grand opening of the Fanshawe Career and Employment Services office in Elgin Mall. Operating in partnership with Employment Ontario, the aim of the centre is to place over 400 people in jobs over the next year while offering support and guidance to an additional 300 individuals. And, according to St. Thomas/Elgin Regional Campus chairman Ross Fair, focus on the community influenced the decision to situate their new employment services office in the confines of Elgin Mall. Across town, opposite the Princess Avenue Playhouse, the second good news announcement of the week is a result of the incredible perseverance of the always effervescent Liz Brown and her team at Violence Against Women Services Elgin County. 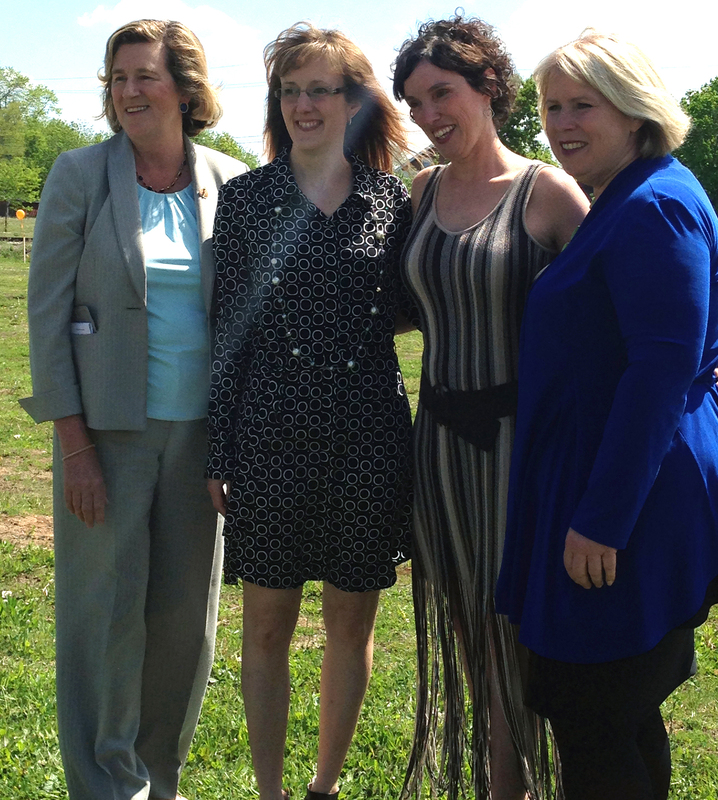 Community and Social Services Minister Helena Jaczek, left, Violence Against Women Services Elgin County board chairwoman Andrea Quenneville, executive director Liz Brown and Deputy Premier Deb Matthews stand on the future site of the new Women’s Place Emergency Shelter. The province announced $1.93 million in funding for the project at a news conference. Provincial poobahs were in town to announce a $1.93 million investment in Women’s Place Emergency Shelter, which will replace the existing 98-year-old house currently used by VAWS. Most encouraging is the $1.1 million in community donations over the past two years. Acknowledging the provincial funding, Brown said “It is an incredible gift to our community as we strive together to create the community we want that is grounded in safety. With the high-energy Brown at the helm, the official ribbon-cutting at the new shelter will likely be some time next summer. 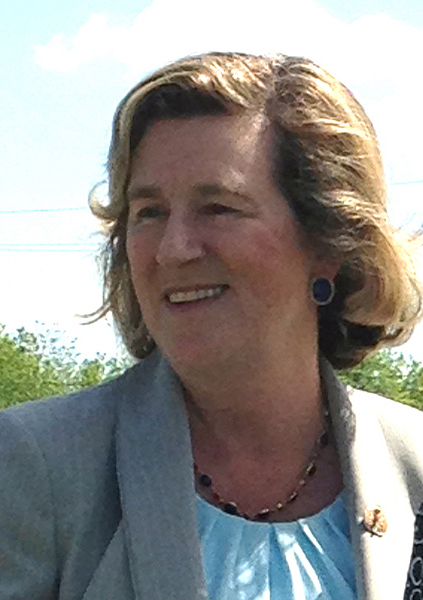 Community and Social Services Minister Helena Jaczek at a media conference to announce her ministry would be contributing $1.93 million to build a new women’s shelter. This entry was posted in Canadian employment, City of St. Thomas, City Scope, Homeless, Retail, women's shelter and tagged Elgin Mall, Fanshawe College, homelesssness, Jason McComb, Liz Brown, Ross Fair, Violence Against Women Services Elgin County. Bookmark the permalink. It is truly remarkable that Mr Jason McComb champions the plight of the homeless and seemingly is gaining support north and south of the 49th parallel from the heart of St. Thomas. Hats off to Jason and those he is rallying to help. Ironic that St. Thomas Mayor Heather Jackson and the lofty council rapped Jason’s knuckles for trying to beautify the downtown by picking up garbage. And yes the spiral that has been set in motion by the previous mayor and his council’s lack of vision. St. Thomas is securely aboard that never-ending spiral that one day will see it disappear up its own sphincter. Thank you very much for the acknowledgement Mr Bill Sandison! No one ever told me it was going to be easy when I decided I was going to do the things I make the effort to do and I guess to a degree I knew that was true. “Nothing good comes easy” is one of the most profound things/quotes I have ever heard and that is applicable in my life today. Another glaring thing that was said to me by my supervisor at Victoria Hospital when I worked there just before they closed was “Jason, you have seen and will see many times in the future that no good deed goes unpunished, you fight good fights and punishment will be yours”. I am a fighter as I have proven and at times I need go the “extreme route” and I always will because, the reason I have to fight these fights is there are people that just don’t care enough about people and the world we live in to stop punishing the people that are already hurting and won’t stop dirtying an already filthy world. have borrowed my ear for a moment to validate, acknowledge, and show a “turn face” in relation to what I am so often shunned for, disliked for, and misunderstood about in relation to the message about all of those that have been, still are being, and will continue being “swept under the rug”. I could give up and simply wait until people start tripping over the portion of the rug that these people and issues are swept under however, if history repeats itself, the people sweeping will head to a big box store to buy a new bigger rug to sweep more under but at a cost to all of us as well as themselves as they don’t realize or care that they’re doing now! Thank you again Mr. Sandison and of course as always thank you Ian for helping me bring things to the eyes of the public!